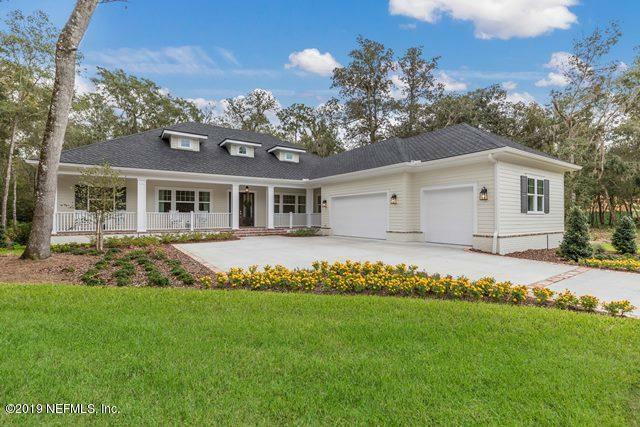 You have dreamed of living on the river with a deep water dock in your forever home.Let me introduce you to Tidewater Homes a custom builder, who can incorporate whatever you can imagine in your dream home. Current pricing reflects a ''to be built'' approximately 3000 sq ft home with the following features : Brick exterior accents with James Hardie cement board siding. Custom trim-work throughout, 3 car garage.Engineered Hardwood in the main living areas,ceramic or porcelain tile in the wet areas, and carpet in bedrooms.Your kitchen boasts full overlay European Box constructed cabinets with dove tail drawers, soft close feature and led under cabinet lighting.Additional features include: ''smart home'' ready with a Control 4 system, Wi-fi boosters and Amazon echo.Energy saving features like Low E windows a Trane 15 SEER variable speed air conditioner and Isokern Fireplace are all part of the package. Pictures are of a nearby Model Home built by Tidewater.